The Rode AI-1 is a simple and easy to setup audio interface with 1 Neutrik XLR and 1/4″ combo input, 48V phantom power, discrete headphone output and balanced line level outputs. The interface comes equipped with a USB-C connection, although it ships with an adapter for use with older USB connections also. Setup on Mac was completely plug-and-play, no drivers to install and it showed up in the OS / DAW settings immediately. 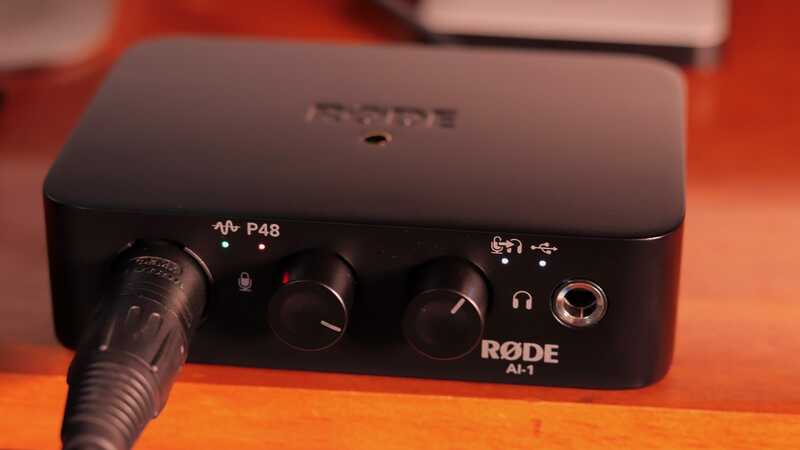 After using the AI-1 extensively over the past few weeks in my studio, I’ve been impressed with the amount of quality Rode has packed into this unit for the price. My biggest concern was the mic preamp (even recording it in a shootout with a much more expensive interface) and it has performed admirably. It’s clean, quiet and sounds fantastic tested with the NT-1 microphone and an electric guitar. In a market that seems to cut costs first in this area, it was a pleasant surprise to hear the AI-1 preamp perform so well. One of the best things about the Rode AI-1 is it’s simplicity and execution. There are only 2 controls on the front panel – 1 for adjusting the level of the mic / line input and the other for adjusting the level of your headphone and speaker outputs. If you press down on the input control, it will activate 48V phantom power for mics in need. Pressing on the right output control will activate direct monitoring. 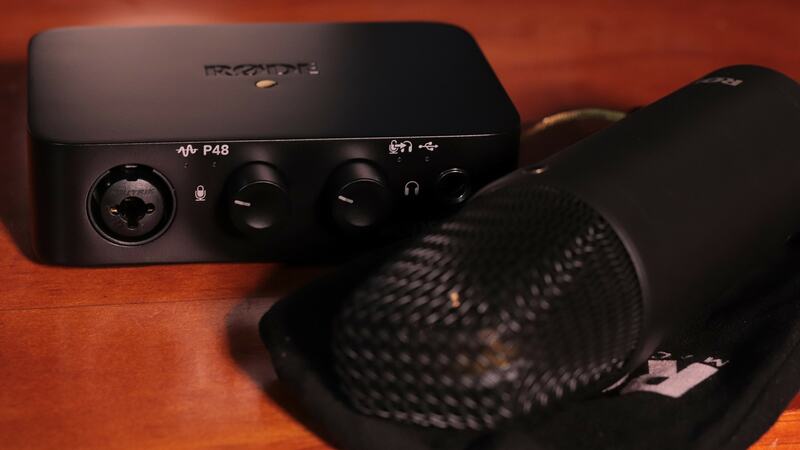 This provides latency-free, direct monitoring through the headphone jack and is an awesome feature for songwriters (especially rap artists focused on precise timing). Another notable feature is that the AI-1 will automatically turn off the speaker outputs when headphones are plugged into the front jack. Build quality is exactly as you’ve come to expect from Rode. It’s a rock-solid metal build with rubber bottom to keep it from slipping off your desk during recording sessions. The audio conversion quality in my tests is excellent and after having the AI-1 hooked up in my studio for many days, I forgot I was using it in in place of a much more costly interface. The line level outputs to my studio monitors (Event 2030) have ample gain with no noise or noticeable coloration. I’m relieved to say I’ve finally found an affordable audio interface that delivers quality, even to the most discerning ears. I know the frustrations caused by many other audio interfaces in this price class first-hand and I won’t hesitate to use the AI-1 on my own projects. 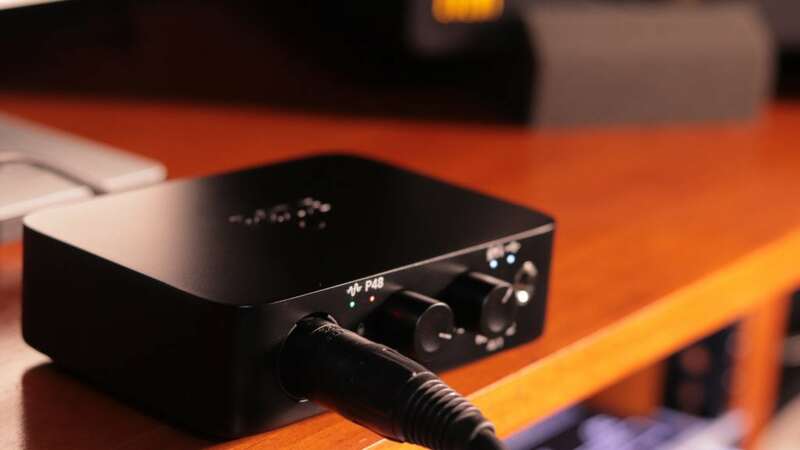 If you’re in the market for a budget-friendly, easy to use, rock solid audio interface from a brand you can trust, skip the others and go with the AI-1. Hey man, great job with the review and with the shoot out. Wow I can believe what I just heard!! Sounds amazing!! And you can’t beat that price!! thanks man 🙂 have been very impressed with the AI-1! 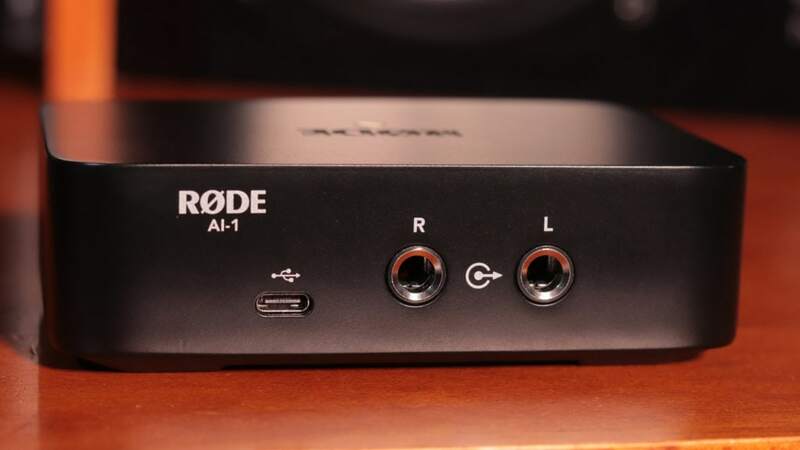 I bought the interface and my speakers sound really weak on the rode ai 1. On my rme ufx the speakers sound stronger. Any suggestions? Nice review bro. Is there anyway i can increase my i/o. Hi. I was wondering if there was any audio latency into the PC? You mentioned latency-free direct monitoring through the headsets, but I am curious about into the PC. Is there a delay? Hi Steph, if you use the onboard DI monitoring, there is no latency. As far as monitoring in your DAW, that depends on your system but I’ve used low buffer settings (128 – 256 samples) without a noticeable delay.